For cyclists, commuters and the general population of London, getting around the city, as well as to and from work, will likely change with the opening of several cycling superhighways in the spring. Mayor Boris Johnson has built quite a platform for himself based on making London one of the most bicycle-friendly cities in the world. 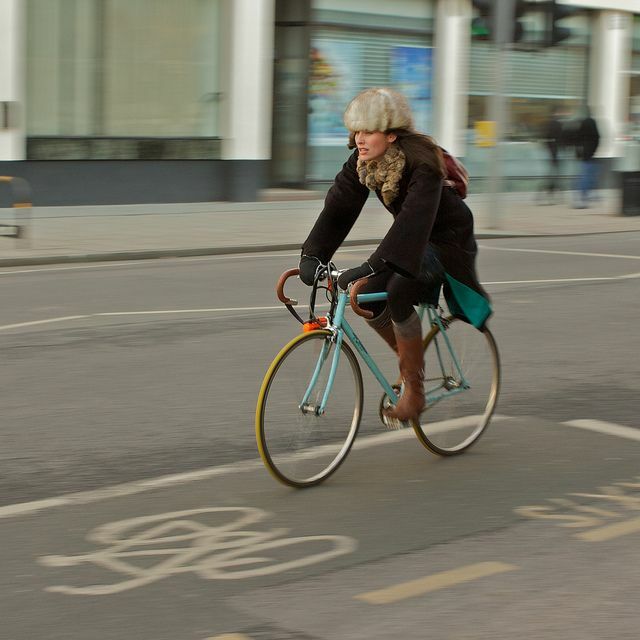 Advocates of the campaign see several benefits from the effort to make cycling easier and safer in and around London. There are environmental benefits, physical fitness advantages, and hopefully less vehicle congestion. For those in the road improvement and construction sector, redesigning and rebuilding roads to be more accommodating to cyclists means more work as well. To achieve their goals of creating a cycling-friendly street system, an infrastructure study was commissioned to examine a global list of cities that have worked to integrate cyclists into their street networks and vehicular traffic patterns. Researchers found that London had the necessary components – legal, strategic, infrastructure, and room for development – to complete a cycling-enhanced overhaul of the transportation system. • the widening or reconfiguration of roads to add bicycle paths, tracks or lanes on busier streets to provide separation from motor vehicles. This is the most common. • “cycleways” or greenways that are separate from the road system. They are often built through parks or along former railway lines or canal ways. Johnson’s plan for London emulated the report. His plan for cycling in the Capital has met with various levels of success and failure. Johnson said he wanted to create a “village in the city”, setting out to build a system of cycling networks to run parallel with key Underground, rail and bus routes. He advocated the construction of Dutch-style fully segregated lanes and junctions, and the construction of more mandatory cycle lanes and system of bike routes. Construction and development of infrastructure is always good for job prospects. More projects mean more recruitment for the hundreds of new highway jobs popping up around the region. As part of the London cycling scheme, several major projects were started earlier this year and are set to be completed in the springtime – just in time to get more cyclists out and about. Cycle Superhighway 1 , known as CS1, will run between White Hart Lane in Tottenham and Liverpool Street Station. As part of the project, there are a number of redesigned junctions to make them safer and more convenient for cycling. Workers have also added traffic calming measures at many side streets to improve safety for everyone. Construction started in July 2015. There are two other major projects of note. The East-West Cycle Superhighway is being built to run directly through central London – from Tower Hill to Lancaster Gate. Scheduled for completion by the end of summer 2016, there are plans for a subsequent extension to stretch to Acton. Engineers have designed and implemented the construction of a wide, mostly segregated, two-way cycle track. The goal was to create a safer experience with cyclists separated from traffic along the route at signalised junctions and bus stops. They have also allowed for more space for pedestrians with widened footways, traffic islands, and large bus stops. 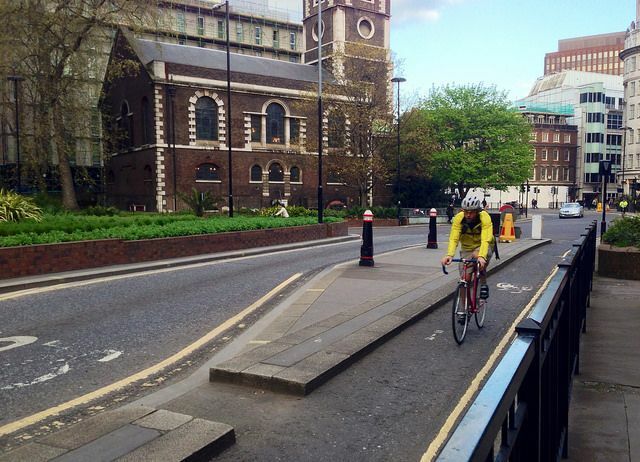 The city is also building a segregated North-South Cycle Superhighway route from Elephant and Castle to Stonecutter Street, near Holborn Viaduct, with a later extension to King's Cross. Work on the North-South Cycle Superhighway started at St George's Circus earlier this year in March 2015. The section between Elephant and Castle and Webber Street is now open, and it is expected that the full route will be completed by spring 2016. Johnson sought to make cycling safer and more popular amongst the population. Recently elected as an MP, Johnson is leaving his post as mayor in May. With candidates lining up to take his place, one of the political rallying points is the effectiveness and future of the cycling program. Labour’s Sadiq Khan told Cycling Weekly recently that he wants to build on the success of existing cycling projects in the capital, and expand them where possible. Khan said he wants to continue the Cycle Superhighway Programme, but also advocates investigating new routes and learning the lessons from earlier schemes. He feels a focus on segregated routes should be employed when appropriate. A major goal for the entire scheme was to create streets for the bike riders, drivers and pedestrians as well. Transport for London has announced that spending on the project will be focused on improvements to the worst junctions and the construction of new measures to improve the safety of cyclists around large vehicles. 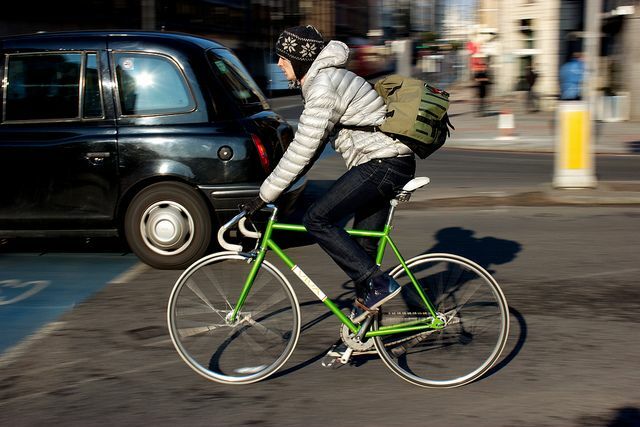 But despite the overall investment of an estimated £1 billion on the construction of new cycling routes and other improvements, a variety of advocacy groups feel more can be done to make the streets safer and less congested. 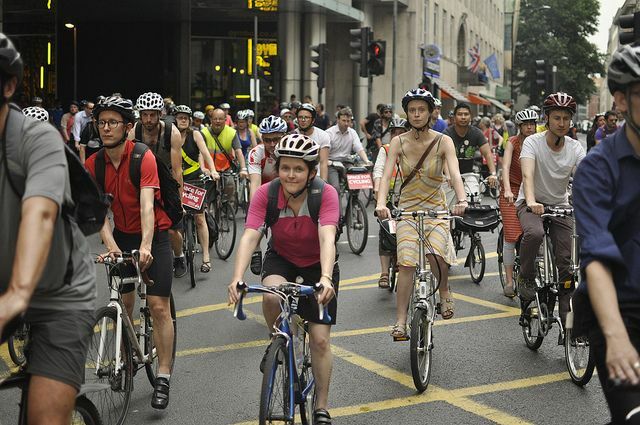 A recent protest was held outside of the TfL headquarters to urge an increase in spending for cycle routes and safety. Protestors lined the pavement outside of the offices with coffins representing those who have died riding their bikes in the city. Most deaths included collision with motor vehicles and HGVs. "We want 10% of the TfL budget to be spent on cycling infrastructure. At the moment it is only 1.4% of their transport budget and that's nowhere near enough,” said Nicola Brand, co-organiser of the protest to the BBC. "As cyclists we are the canary in the coalmine, you sort out the problem of cycling deaths first and then all the other deaths fall into place." We have specialist recruitment teams in roadwork recruitment – find out more about McGinley’s highways recruitment services here .